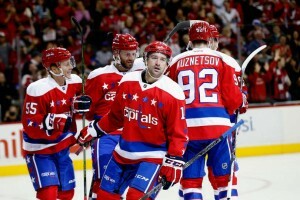 Returning to their winning ways after an uncharacteristically sloppy performance on Saturday against Buffalo, the Washington Capitals used three goals from Justin Williams — his second career hat trick — and one each from Alex Ovechkin and Marcus Johansson to beat the New York Rangers 5-2 on Sunday night in the District. 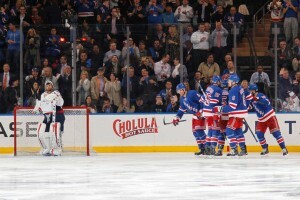 The win puts the Caps (34-8-3) 17 points ahead of the New York Islanders in the Metro Division, with the Rangers 18 points back. 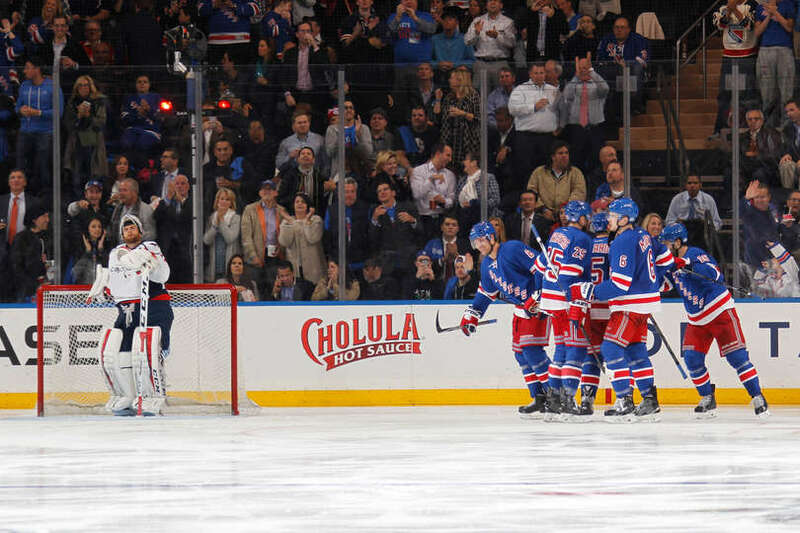 The Washington Capitals went to Madison Square Garden looking to start 5-0-0 on the road for the first time in their 41 year history. That mark will have to wait another yet to be broken. 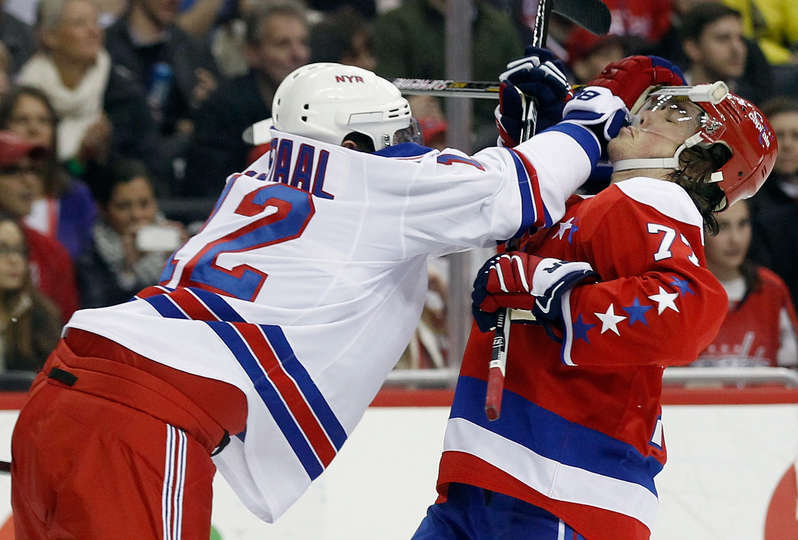 The Caps were victimized by some shoddy defense and opportunistic scoring chances by the New York Rangers, five different blueshirts scored and the home team beat up its visitors 5-2 on Tuesday night. Even before those in this area had heard of the men that go by the names Ovechkin, Backstrom and Trotz, the stigma was firmly in place. 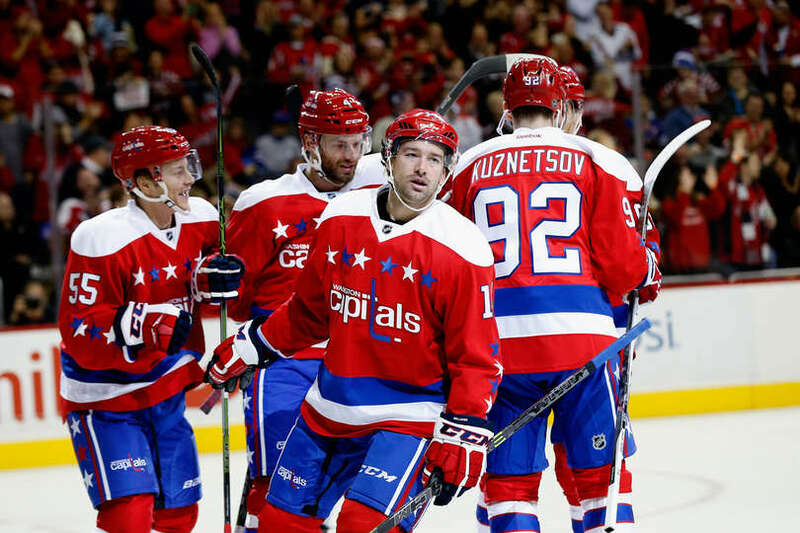 A lost 2-0 series lead to Pittsburgh in 1996 led Washington Post columnist Tony Kornheiser to label the Washington Capitals as “choking dogs,” a notion that has become all-too-familiar for one of hockey’s most loyal fanbases. It seemed for a bit as if those fans would be rewarded with a monumental win this past Mother’s Day, only to leave Verizon Center shaking their heads and collectively asking themselves — and each other — one thing.